Parquet Courts are a rugged rock n’ roll four piece from New York City with the wind at their backs. 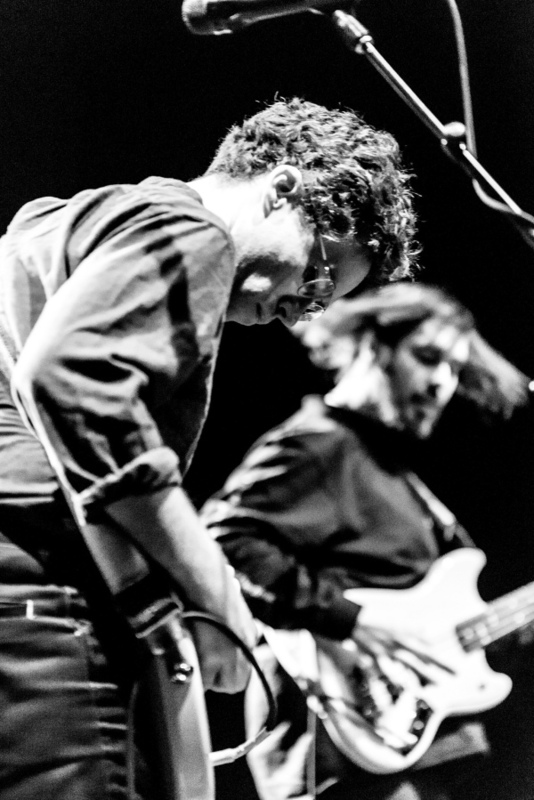 Fresh off a performance on The Tonight Show with Jimmy Fallon and a Grammy nomination for Best Recording Package that stemmed from the personal artwork of co-vocalist Andrew Savage, Parquet Courts were more than ready to keep the ball rolling with a headlining U.S. tour. For their first stop of the tour at Philly’s Union Transfer, the place was near-sold out on a Tuesday night, with the second floor balcony packed shoulder-to-shoulder and the downstairs GA showing little mercy as well. This entry was posted on Wednesday, February 1st, 2017	at 4:46 pm	and is filed under News	. Responses are currently closed, but you can trackback from your own site.